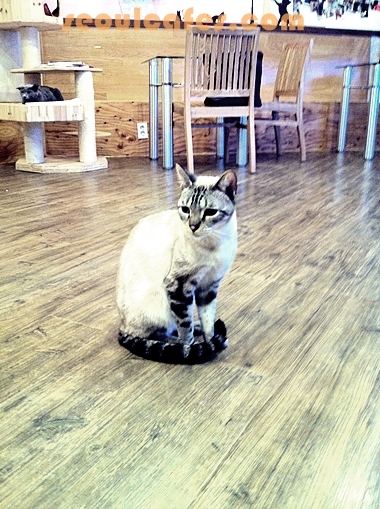 The cats at Gio Cat Cafe are super friendly! people-magnets! they're so friendly and approachable! "don't move - im leaning on you"
I've been to Gio Cat Cafe a few times already and the cats were always in need of love and snuggles. You will pay an entrance fee and most of the time it comes with a "drink" - coffee, tea, etc. It costs around 8000won and up - it varies though. 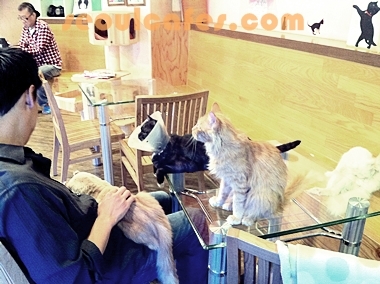 Some cafes will serve little eats - but not really great when there's 20 cats around. 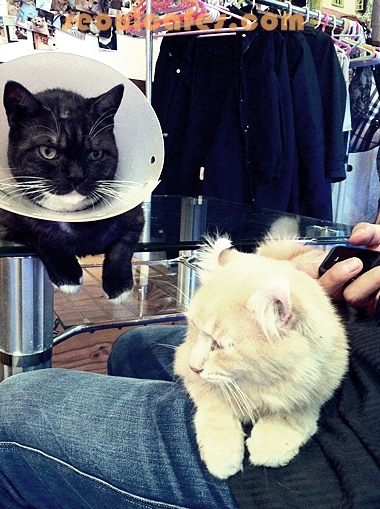 When you're in need for some loving and snuggles - cat cafes are perfect! You can visit www.giocat.com for more photos and details! Hi. 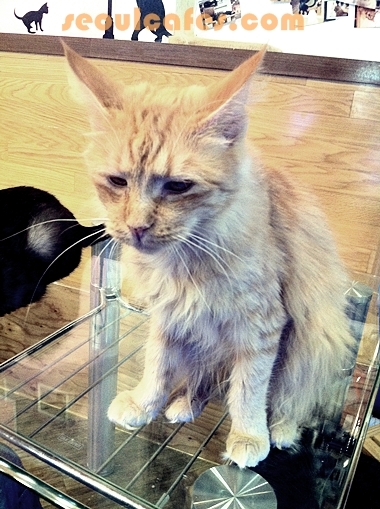 Ive just been to visit this cat cafe in Seouldaeipgu Station (near soul national univ) and I was so shocked to see so many sick and super skinny cats. The owner there was also really scary...and the place was stinky. Its seems the cats where really hungry too. oh no :((( that's really awful to hear... Thanks for sharing your visit - we will have to really have someone take a look. We'll also have to give it a visit (haven't since the post) and talk to the owner! Was the owner of a "tattooed middle aged man"? Will let you know what happens.